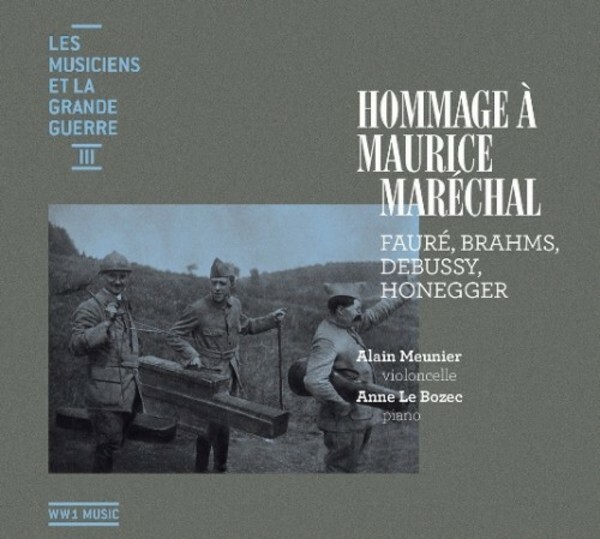 Alain Meunier pays homage to his Master Maurice Maréchal, 100 years after the drama and 50 years after his disappearance: Fauré's Élégie which was so dear to him and Brahms’ Sonata which he loved to play; Debussy’s Sonata, written in 1915 – and brought to the fore by friend André Caplet – which he studied, no doubt on ‘Le Poilu’, and played twice before Debussy during Paris leaves; Honegger’s Sonata, an obligatory piece for us, his pupils. After three Prizes at the CNSM de Paris in the disciplines of Piano, Chamber Music and Accompaniment (classes of Theodor Paraskivesco, David Walter and Anne Crappote), Anne Le Bozec proceeded to Hartmut Höll’s renowned Lieder Diploma at the Karlsruhe Hochschule. She won major prizes in international competitions, among them Hugo Wolf/Stuttgart, Nadia Boulanger/Paris, Schubert und die Moderne/Graz. Masterclasses on a number of occasions with Léonard Hokanson, Tabea Zimmermann, Gundula Janovitz and the late Dietrich Fischer-Dieskau were opportunities for important formative musical and human experiences.